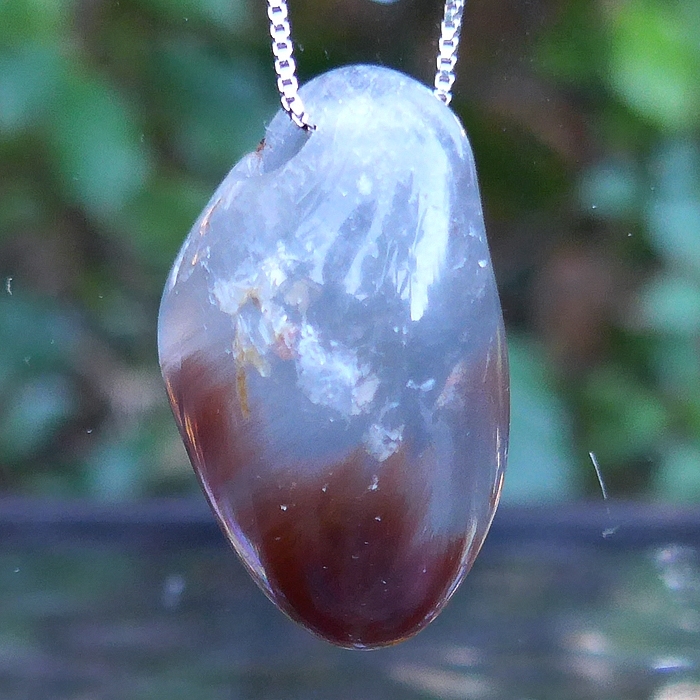 Dimensions (HxWxD): 1.625" x 0.5" x 0.375"
This translucent 36 carat, 1.625 inch high Polished Indigo Quartz Pendant is perfect if you want to minimize stress, relax the mind, and pacify turbulent emotions. 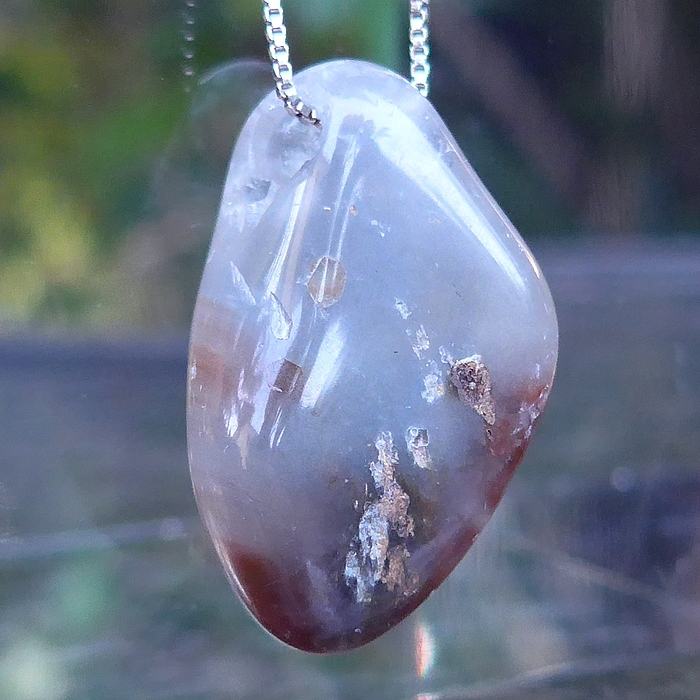 This stone is drilled near the top and comes complete with an 18 inch sterling silver chain in its own velveteen jewelry box for safe keeping. 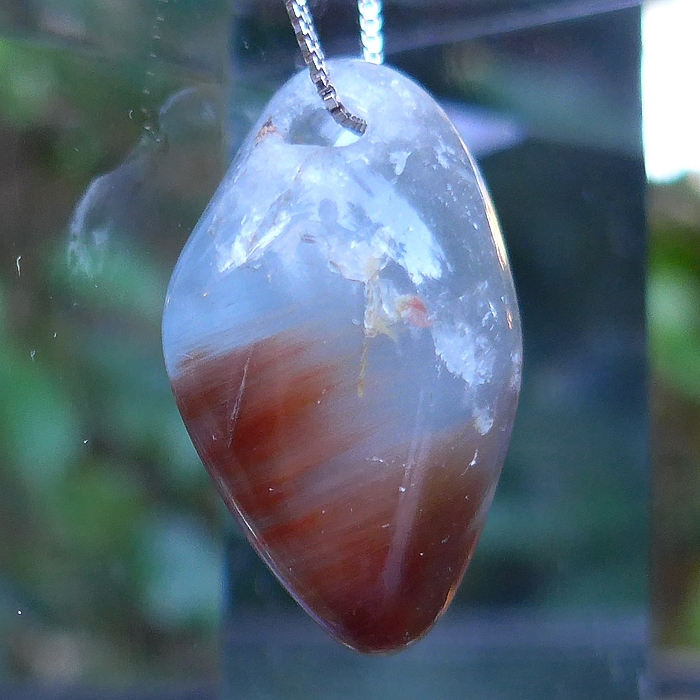 This piece has a dark end filled with Actinolite inclusions that look like ocher seaweed within the silvery blue stone but no inclusions reach the surface of this polished beauty. We also refer to Actinolite as Indigo Quartz and use those names interchangeably. 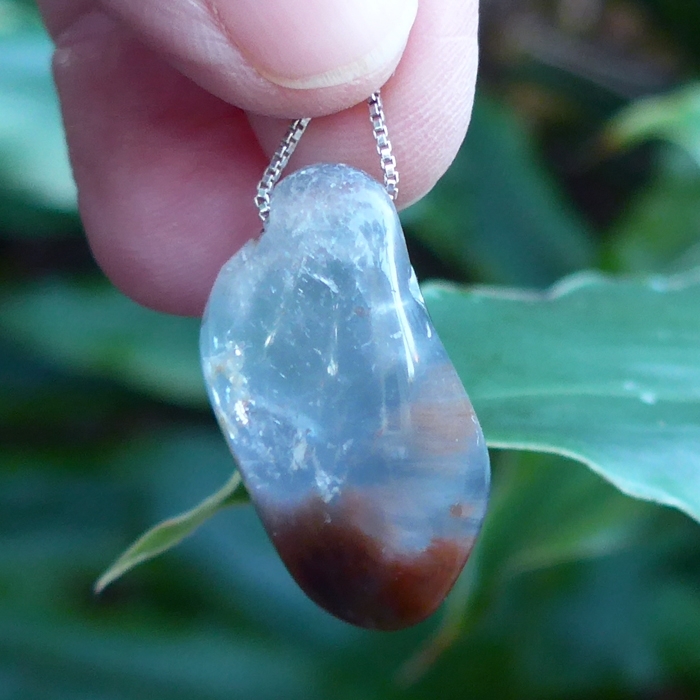 Simply focus on this Indigo Quartz crystal during meditation, and feel the flow of peace and stillness spread throughout your aura, facilitating the cessation of mental chatter and the complete relaxation of the emotional body. You will then notice the feeling of relaxation and peace extending into the physical body as well. Note: Weight above is shipping weight. Actual weight is 7.512 grams exclusive of chain.